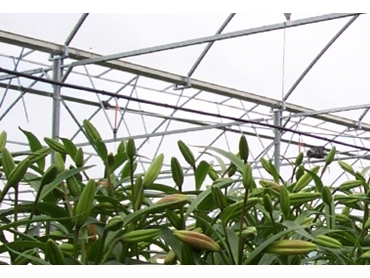 Crystal-diffusion (CD) is a type of glass that is used in David Gill Greenhouses . To be exact, the term refers to the crystal-clear glass on one side with a diffused treatment. It leads light particles to be broken down into several smaller light particles. The total quantity of light in the greenhouse remains nearly the same and, under normal conditions, the glass gives a hazy, visual impression of light. As the outside becomes wet then the glass becomes transparent and behaves like a normal glass pane. CD is used in green houses because using diffusion light provides the plants with more active photosynthesis. Research has proven that the light penetrates deeper into the crop. David Gill Greenhouses is an Australian family business. David and his son Adam have over 15 years experience as builders in the horticulture industry.